Engaging with potential and current customers creates a lasting impression. By being open and transparent with your business’s patrons, you will earn their trust. They want to have interactions that help them understand who is behind the business. And one of the more effective and emerging ways to do that is live streaming. In a recent Brandlive survey, 39 percent of respondents said live streaming will be “important” in their marketing mix. 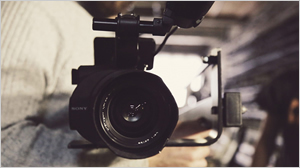 Another 20 percent said it will be “very important.” No matter how small your business, it might be worth your while to explore the possibilities a video marketing trend that’s gaining serious momentum. You know YouTube, but did you know it offers ive streaming? Periscope is another popular tool for live streaming. Even social media powerhouse Facebook offers live streaming option. Plus, with the new .live domain extension, it’s never been easier to show the world at a glance that you’re streaming fresh, valuable content. Need some inspiration? Check out JoeRogan.live and MitchJackson.live (he also streams at LiveStreaming.lawyer). These savvy business owners are taking advantage of live streaming and the .live domain to provide their fans with the freshest content AND to build their individual brands. That’s just smart. With so many great live streaming options, it’s simply a matter of finding the tools that will work best for you and your business. So, how do you get started? If you’re worried about getting in front of a camera, understand that you’re not alone. Not everyone was born a TV personality. But that doesn’t mean you can’t engage with your customers in a fun and different way. The most important thing to remember when living streaming is: You are human and so are your customers. If you make mistakes, that’s OK. If you are a little nervous when you start, that’s OK. Just keep pushing and eventually it will become second nature. 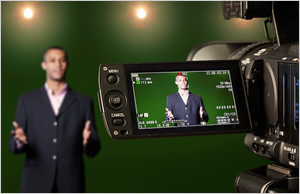 Make videos that are relevant to your audience. If you’re doing a live stream video, make sure your audience will get value out of it. Maybe you’re an accountant who can answer this year’s most common tax questions. Or a plumber who can live stream the best way to fix a clogged toilet. Or an artist who can demonstrate an effective process for mixing colors. Plan out your live stream. Don’t have a script, but don’t play it by ear either. Understand the flow of your presentation. Once you have the theme of your show, figure out the most important points. Then figure out the order in which they’ll go. If you’re doing a demonstration, make sure any prep work is done before the show starts. Set up a camera, push play, and go. Watch it. Whatever you do, don’t stop. You are acting like this is a live event. In the TV industry, this is called “live-to-tape.” You don’t get to “start over” when you’re live streaming, so just absorb the mistakes and move on. The more comfortable you are with your content, the better the final production will be. As you gain experience, you’ll need to practice less. Accept that mistakes are going to happen. Embrace the mistakes! The key point is to move on. Don’t call out mistakes if they’re small — just accept that making mistakes is part of a live video and move on. If something major happens, address it and move on. Look for opportunities to follow-up. If a question comes across and you don’t know the answer right away, don’t panic. It’s OK to not have every answer at your fingertips. Let the viewers know you’ll investigate the question and post the answer to your website or social media pages the next day. Then, make sure you follow-up with the answer. If a camera makes you nervous, use a person. If the mere thought of a camera makes you cringe, have a real person sit right by the camera. Your viewers won’t see your human lucky charm, but you’ll have a real person to talk to. Ask a friend or coworker to sit with the camera right over their shoulder. It might feel awkward at first, but instead of talking to an intimidating object, you’ll be able to look someone in the eyes. Have a quick way to access your live shows. Sometimes the hardest thing is for someone to find a live stream. Make it easy for viewers to find you. Right before you’re about to start, post a link to your website and social networks. Don’t make the video just for the viewers watching right then. Create an archive that enables others to watch your videos. Don’t expect to become an overnight success. Your first few streams might not have many live viewers. Or, as you continue your stream, you might see that live viewers start to leave. Don’t take either scenario personally. It takes time to build a following. Just make sure your videos are located where someone can access them at a later time (like on your YouTube channel). Live streaming can be an effective way for a business of any size to share their work with their customers. It gives customers great insight into your business, while letting them connect with you on a real level. 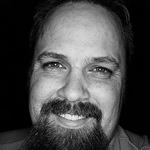 Nick Fuller tells stories about domain names, web hosting and security products for GoDaddy. He grew up with an Atari 800XL playing Zork and cutting notches in 5.25” floppy disks. Note: this post was first published in the GoDaddy Garage and is re-published with permission.